The adventure continues! The successful adventure family has a new addition. The "big one" with exceptional observational power. 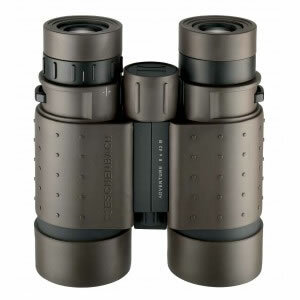 Even more robust and, water-tight and nitrogen-filled - these binoculars are ideal to meet the most challenging demands of the great outdoors. Equipped with even more detailed features such as the single section protective dust caps, the special tripod thread cover and the protective hard shell case, the adventure 8x42 B active is a must for all outdoor activities! 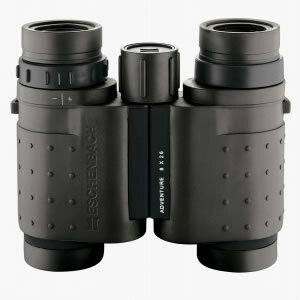 Those who consider binoculars to be outdated can''t have seen the new adventure B active from Eschenbach. Its angular, striking design will appeal to both men and women alike. The new adventure B active is tough and ready for the challenge. On land, on the water or in the air. Water-tight and exceptionally robust, the adventure B active is capable of coping with (almost) anything. Enjoy the excitement of the great outdoors - whatever the weather. The BaK-4 prisms and full multi-coating provide exceptional image quality. Complete with protective case, carrying strap and single section protective eyepiece and lens caps with eyelets for the carrying strap.